When I started blogging, I had no idea that there’s a whole blogging “world”. People read each other’s blogs and comment back and forth with each other. Even though they might not live near each other, they get to know each other through writing. The funny thing is that quite a lot of the blogs out there are written by moms . . . And that’s definitely not where I am in my life right now, so it doesn’t make sense to follow them avidly. 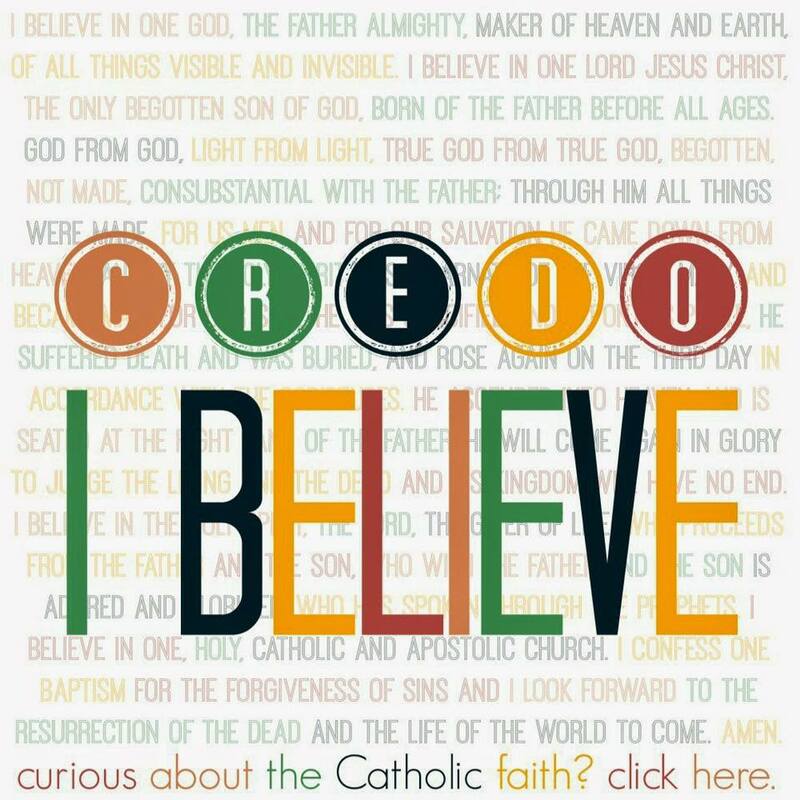 What I have found, though, is that there are quite a few young Catholic women like me out there. And it’s really refreshing to read what they write. When I found the Not Alone Series (started last summer), I was intrigued by the concept. 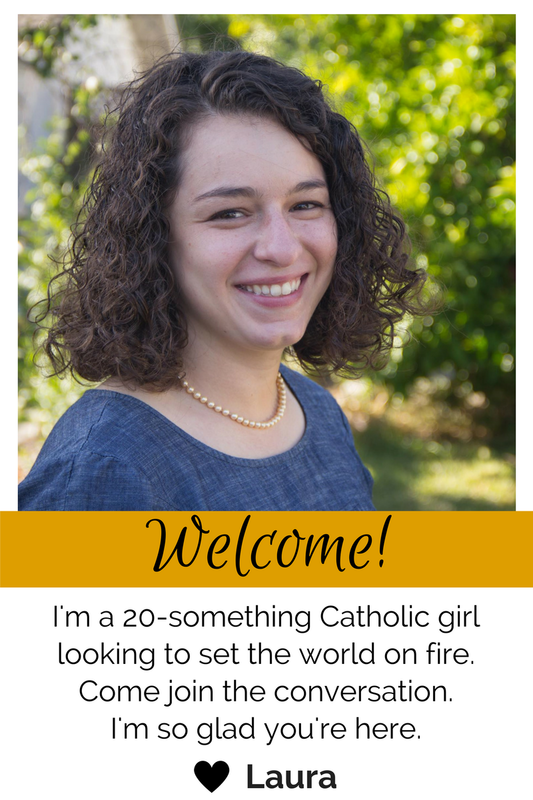 Many of these young, Catholic, and single blogger ladies would write on a specific topic each week and share their take on it. The majority of the topics have had to do with the Catholic single life, which is why I haven’t participated. Until now. I’ve never written (that I can remember) about this because, hey. I know who reads my blog, and I wasn’t sure that I wanted them all to have access to things that might be a little more personal about me. But then I figured why NOT? Seriously. If you’re a young Catholic woman you’ve probably thought things similar to me. And if you’re a woman young at heart, maybe you’ve been where us young’uns are now. So really, nothing new people. I won’t post anything so terribly awkward that any of you people would die reading it. And so beings my participation in the Not Alone Series. In what ways can you grow/stretch RIGHT NOW that could effect the whole of 2014? Well, that’s a loaded question. I can grow . . . in my prayer life. Being at college has given me all sorts of opportunities that are not necessarily going to be at my disposal in the future: 24 hours adoration within a 7 minute walk, multiple daily masses, countless faith-enriching events, and so much more. I also have a crazy awesome stack of Catholic-related books to read. I’m working on the books, and started regular adoration last semester. My prayer books I write in (almost!) every day is also part of this. I can grow AND stretch myself . . . in my relationships with friends and relatives. Talking with people gives you so much more insight than any type of social media ever could. And quite frankly, my generation has generally forgotten how to talk. Instead we text or shoot off a quick email. Ever have to call someone’s home phone to talk with them and have a family member answer? Hmmmm, probably not too many people remember that. Face to face interaction is so important, and I think that’s one reason why it’s hard to start sidewalk counseling. But I’m going to do it anyway. It seems that most people appreciate when you give them the time of day and take time to listen, so I need to do more of that. I can stretch myself . . . in my classes. Oh my. This is a biggie. Last semester my classes streeeeeeeeeeeeeetched me to a point where I broke a little. They were demanding, and I sometimes failed to devote enough effort to them. That feels really lame, and I never want to look back on a semester and think that again. I have to give them my all. We’ll see how I feel after classes begin, but I am predicting just as hard of a semester. I can grow . . . by serving others instead of always leading. Call it being a “natural leader” or it might just be my somewhat demanding and at times bossy personality. Trust me, I never intend to be harsh or overly demanding of people I am involved in things with. It just turns out that most of the time I care a lot about things I get involved with, and I have high expectations of most people. That aside, I’ve been really trying to take a step back, delegate, and give others the freedom to do things how they want to. Because guess what? People matter. To be a good leader I think people have to believe that you trust them, and giving them freedom does just that. People are capable of doing things rather well without me. I must put that into practice by being more of a servant leader. I can grow . . . by writing more. Maybe I should start considering myself a bit of a writer, but I never have before. Writing (creatively, that is – no essay prompts!) helps to explore issues and thoughts. It helps me connect with people. And you know what? Sometimes I have good things to say. This is one of my goals for the month (and year! ): to write more. Writing for Live Action is lots of fun, and I need to get back to it. Writing here is even more fun, and I know that words can have a lasting impact. I need to appreciate and harness that power and communicate it through writing about things I care about. And there you have it. I have lots of growing to do in little and big ways. No matter how small the change, though, it can make a lasting impact on my life. There are lots of other (maybe smaller?) ways I can grow, which I write up each month in my goals posts. Check back at the beginning of each month for those! YAY!! Welcome! 🙂 So glad you joined us! You have great ways to grow and stretch for the year. I am with you about actually talking with people. Building those relationships with people IN PERSON or at lease voice to voice as much as we can is so important for our generation. Thanks, Jen! I’m glad to be joining you! I’m wanting to stretch myself with my relationships as well. My friends and I mainly message each other we have a few different group chats going even my planning committees. We only call on the brink of frustration, NOT GOOD. Great posts!!! Yay! I know, it means so much more to actually talk with people and ask how they’re doing 🙂 Good luck! I’d love to hear how it goes. I especially appreciated your point of serving, not just leading. I struggle with letting others do things that I’m passionate about, but you’re right: people are important, not just “issues.” Great post! Thanks, Bek! I’m not one of the organizers, but I would think anyone can be part of it 🙂 I’d love to hear your thoughts! Jen has the upcoming topics over on her blog (jumpinginpuddlesisfun.blogspot.com). And yes! I’m with you with the leading thing! I am so glad that there is a new fresh blog linking up with the NAS. I write about this often and I totally get the making sure your blog doesn’t become a journal. It is something that needs to be constantly reexamined. My favorite goal of yours is serving v. leading. Defiantly an idea to ponder.